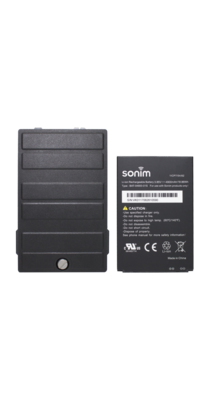 Sonim high capacity, 4900mAh lithium ion battery for the XP8 handset. This replaceable battery provides 35 hours of talk time or 800 hours of standby time. The XP8 battery door comes equipped with the retaining screw required to attach the battery door to the XP8 handset.